Looks: Large, dense, dark green nugs. Covered with dark orange hairs. Shimmers in the light from all the crystals. Smell: Very musty, and diesel smelling. Taste: sour and skunky on the inhale, very diesel-y on the exhale. Very unique taste’s. Cant explain it that well. Effects: Instant head buzz, made me very spacey at first, but then became very focused, had a decent body buzz throughout (wave effect). This lasted for a bit, then mellowed out to a super relaxed mindset. Heavy eyes, and multiple ocular pressure changes. 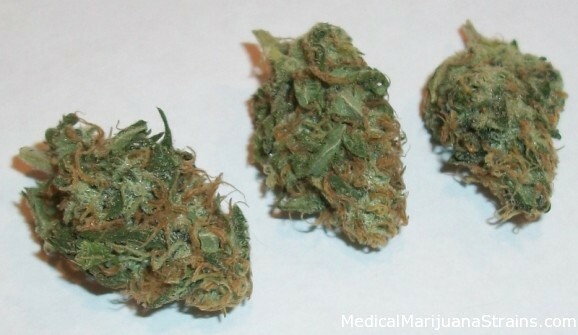 Good Strain For: Concentration, headache, eye strain, anxiety. Notes: I’ve had diesel before and it had very distinct a killer piney / diesely taste, very different from this batch.